Gulf Air, Bahrain’s national carrier, in collaboration with Bahrain Airport Company and Gulf Aviation Academy, today held a Breast Cancer Awareness event at the airline’s Muharraq headquarters, marking Breast Cancer Awareness month. The event was attended by executive management teams and workforce of Gulf Air, Bahrain Airport Company and Gulf Aviation Academy. 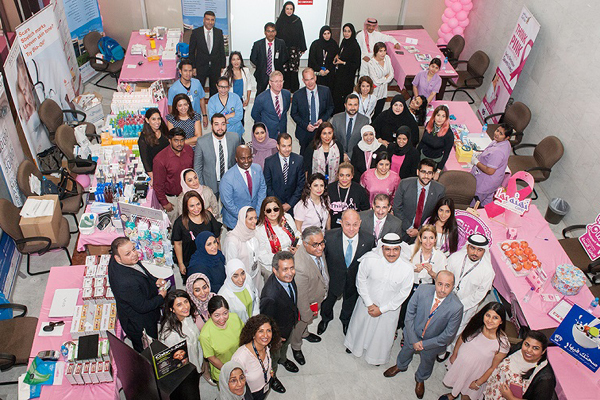 The Breast Cancer Awareness day-long event included health-related activities and informative medical kiosks providing attendees with valuable information regarding the disease and means of prevention.